I finally got my visa yesterday and went to check for the fireworks tickets, but they're sold out. Is there any way I can still buy a ticket online? They are usually sold for £10, I'm interested in any alternative ways to see the fireworks, including any ways to buy sell-on tickets (I'm willing to pay around £30). If not, where else can I watch the fireworks, knowing that I'd be alone that night. My normal suggestion for the New Year's Eve fireworks is to book a river facing room at the Tower Hotel and watch the show from a higher vantage point with an unobstructed view. It's preferred because it's (a) inside; and (b) relaxed; and (c) has a mini-bar; and (d) safe. From any place in Greater London, if you can see the London Eye, you will be able to see the fireworks. 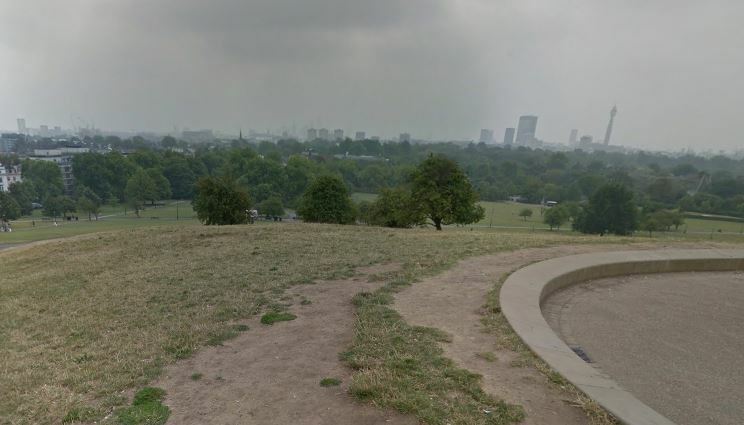 So this would include venues as far downstream as The Royal Observatory and as far north as Alexandra Palace. 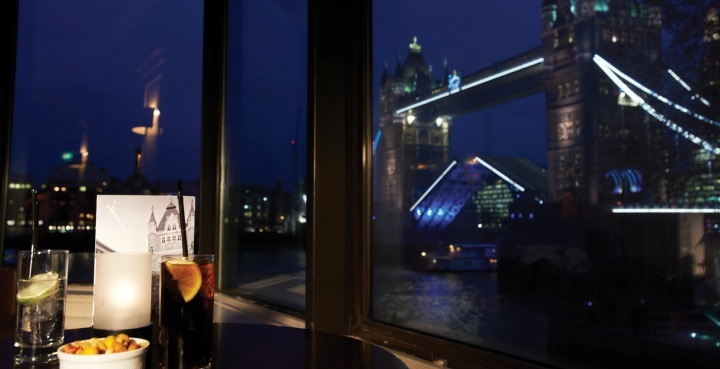 Arguably the best free spot is directly on Tower Bridge (shown in the restaurant/bar photo above). On either side of river there are places to stand where you can avoid the GBP 10 ticket price. The downside is that I would be reluctant to confirm that the Tower Bridge area on New Year's eve is particularly safe (especially compared to Cannon Street or Greenwich or Primrose Hill), but that's an opinion. Tip: take an iPad or other tablet with you and tune in to the BBC's coverage as they pass the book from Moscow to Prague to Paris and finally London. That way you can pick up their commentary and see the fireworks both personally and on camera. Here is a 2012 map of the area for the fireworks display. Not much has changed in 4 years so this should still apply. The orange areas is for ticket holders. 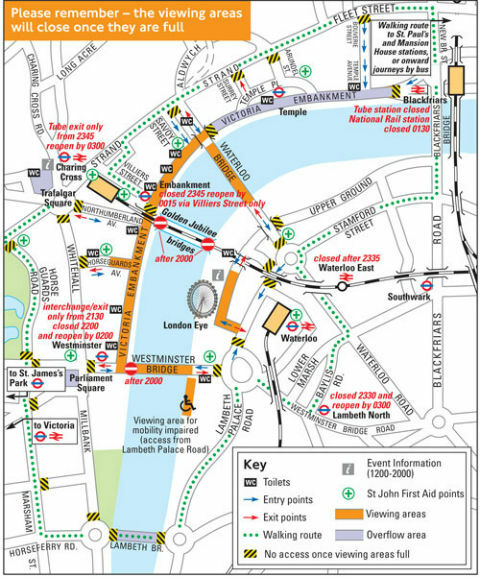 My best bet would be the area north of Lambeth Bridge around embankment/houses of parliament. There is a small park here and there are good views up the river from this area. Failing that the London NYE fireworks event is also broadcast live on BBC One. All TV's in the UK with signal have access to BBC One. As the most viewed channel most people have this on their TV during the New Years Eve night. The BBC are also doing a 360 online view of the event this year. BBC One is also accessible online via the iPlayer if in the UK. You can try looking for a second hand ticket on stubhub.co.uk. Not the answer you're looking for? Browse other questions tagged london public-holidays or ask your own question. Can you easily buy bus tickets in China during Chinese New Year?